Following from last year’s International Women’s Day blog on scientist Mabel Purefoy Fitzgerald this year’s is following a similar pattern of raising awareness of lesser-known women whose research made significant contributions to the world of science and medicine. Edith Kate Dawson (1886-1983) was a pathologist of international repute, who received a DSC for a thesis on sarcoma in 1970 (aged 84) and an MBE in 1968. Edith carried out her research at both The Royal College of Surgeons of Edinburgh (undertaking much of her research at Surgeons' Hall Museum) and the Royal College of Physicians of Edinburgh. 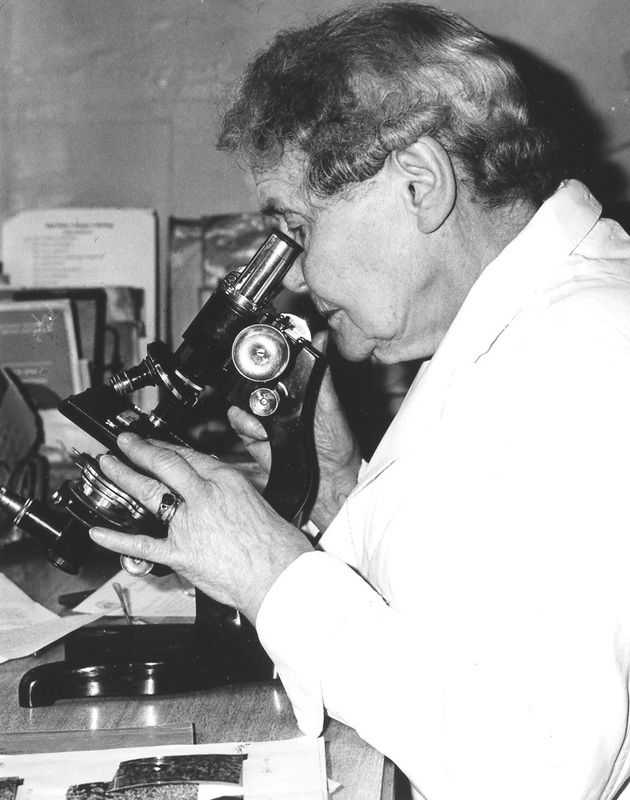 Throughout her career, she focused on the study of breast pathology, with special interest in fibrosis and adenosis. Born in India to a military family, prior to studying medicine Edith held a teaching appointment in a missionary school in Rangoon before travelling to Edinburgh (via the Trans-Siberian Railway) to study medicine. Graduating in 1921, she dedicated her career to studying pathology, initially as a cancer research fellow from 1931 at Edinburgh University. Her thesis on “Sarcoma of the Breast” was noted to be of ‘outstanding significance’, and the archive provides a documentary record of the process leading to this output. Dawson later lectured in this department while also carrying out research at the Royal College of Physicians' laboratory. From 1960 she moved to work here at The Royal College of Surgeons of Edinburgh. In addition to performing the diagnostic histology for Fellows, she undertook a great deal of research work in the Museum and donated to the College a large quantity of histological material, including whole sections of breast and other organs. Dawson provided an important opportunity to postgraduate students who wished to study histological sections, not previously available to them. Edith created a reference collection of sections through cataloguing, and to this whole sections were added, which had been prepared in the Royal College of Physicians laboratory. Edith Dawson was married to James Walker Dawson, renowned for his work on multiple sclerosis, and who was pathologist to the RCP Laboratory until his death in 1927. 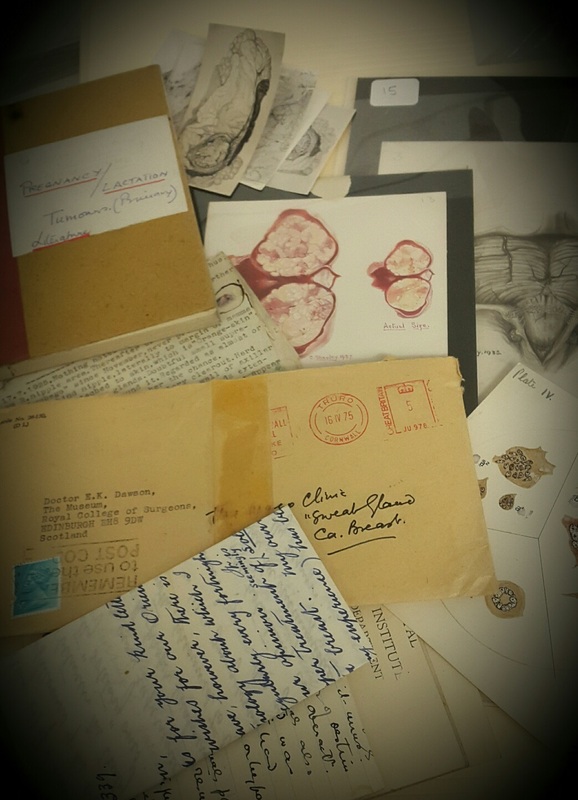 In the College Archive we house a fascinating Dawson Archive, which represents all aspects of her career. Additionally, Surgeons’ Hall Museums holds Edith’s histology collection of thousands of slides of a variety of systems, including many sections of the breast, presented by Dawson. She also donated a number of specimens, some of which are currently on display in the Museum. Edith Dawson’s archive is dense, and includes substantial papers concerning the full research process, including correspondence; clinical notebooks and research notes, including notebooks with remarks on scientific papers regarding many forms of cancer, and clinical notes on cancer therapy; thesis notes and R.C.S. 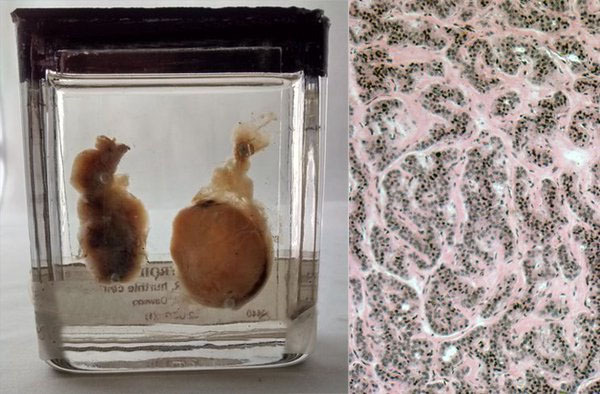 cases; pathological drawings and photographs (including clinical and pathological images); glass slides of breast carcinoma samples; and patient case notes. The archive affords an excellent opportunity for research to historians of medicine and science, and in particular, women working in those fields who made significant research contributions. Happy International Women's Day, 2016!